Oink oink! Super cute piggies wallowing in chocolatey mud – who could resist! 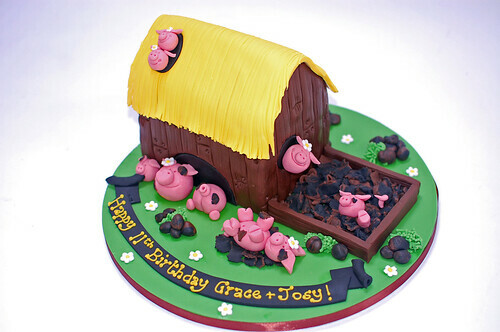 The Pig Pen Cake – from £80.